Spending in top flight football has reached astronomic proportions, and it can be easy to assume that the beautiful game has moved irrevocably away from the fans who are its lifeblood. At the close of the transfer deadline on August 9th, Premier League clubs had broken the £1 billion threshold in the transfer window for the third summer running, spending a total of £1.24 billion on new players. The latest Premier League TV rights deal surpassed £4.4 billion, and given these figures it can be difficult to reconcile the modern game with its grassroots and more modest origins. But that could all be set to change, thanks to a revolutionary new sports agency, co-founded by the world’s first ever footballing Super Agent, Jon Smith. The UK football agent market is worth over £220m, and for the first time Smith is giving fans the opportunity to own a slice of that market, by becoming agents themselves. Smith is a co-founder of The Fans Agency, the first sports agency in the world in which everyday fans and investors have the opportunity to become active shareholders. The Fans Agency aims to marry the financial potential of the footballing juggernaut with the power of fan engagement. Ultimately, football is nothing without its fans, and that is why The Fans Agency has been launched. Smith made his name as the agent of global superstar Diego Maradona, and also as a representative of the England national football team. He is now joining forces with a number of fans with expertise in the sports business world to launch The Fans Agency. Fans will have a chance to be shareholders in the business and will also help scout out new talent. The Fans Agency is currently fundraising on CrowdCube, and is offering 20% equity in the business to everyday fans and investors. The Fans Agency is targeting £500,000 investment, with investors able to get involved from as little as £10, to more substantial fees in the thousands and tens of thousands. This is intentional to ensure that anybody can now get involved in the business of football. The capital will be used to develop the platform and begin building up a roster of players. Uniquely, fans will be able to buy and sell shares in the fees the agency earns from players, investing in their careers and sharing in their success. The agency is set for launch before the end of 2018, and is on the lookout for football’s next superstar to sign up to the agency. When players join the agency, a percentage of the players right fees (e.g. salaries) will be allocated to The Fans Agency trading platform. Player shares will be issued and an IPO share price established, and once live on the trading platform users will be able to buy and sell shares. Fans who own player shares will receive dividends when The Fans Agency receives payment from clubs for fees. Once the trading platform goes live, anybody will be able to sign up and start investing in players signed to the agency. The timing of the launch is particularly opportune, coming at a moment in which football agents’ reputations are at a particularly low ebb. The Fans Agency has pledged to put revenue back into grassroots football to grow the game from the bottom up, and will also charge fair fees, be transparent in the way it does business, and put player welfare at the heart of all it does. Shareholders will have the chance to vote on where money will be reinvested into grassroots causes. The idea for The Fans Agency came when a number of fans approached Smith at a book signing for his best-seller The Deal, with the idea of starting their own agency. Fans are at the heart of the business, and will also help to identify the next generation of superstars. 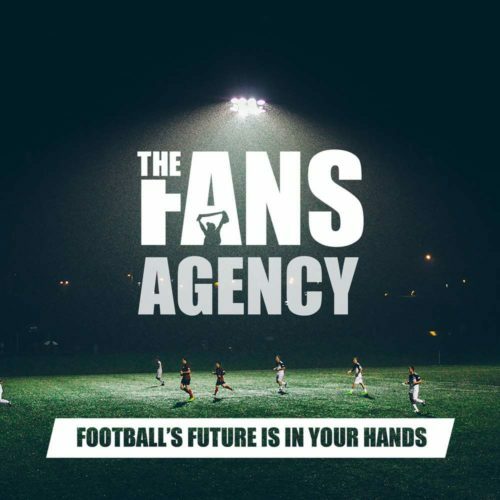 Among the co-founders is Phil Smith, an extremely well-connected agent who has completed more than 750 deals over thirty years, and leading professionals from the commercial, marketing and operations sectors who will develop The Fans Agency platform. While the business will focus on football, the team also have ambitions to branch out into other sports such as rugby, golf, cricket and NFL.